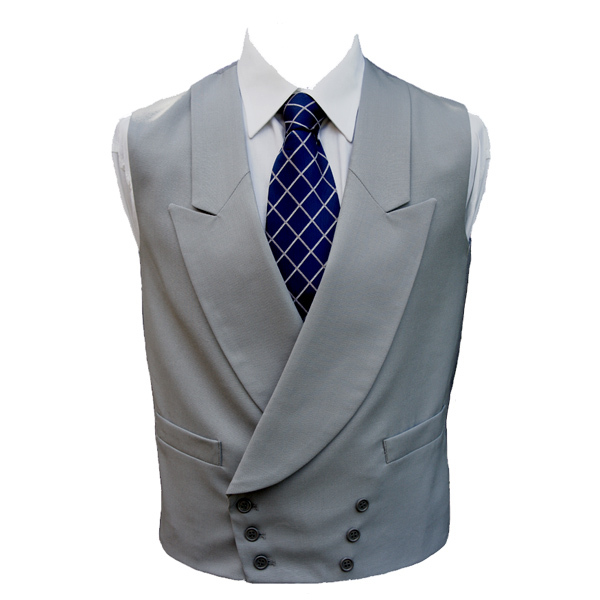 Sometimes referred to as Morning Grey or Ascot Grey, this classic 100% pure wool double breasted dove grey waistcoat is a timeless look at both weddings and Royal Ascot. Suitable for wearing at Weddings and Royal Ascot, this dove grey coloured 6 button double breasted waistcoat offers a very smart, classic look for the summer season. Excellent service. I would recommend to anyone for quality o ..